This beautiful upholstered back arm chair features decorative nailhead trim and smooth cabriole legs. 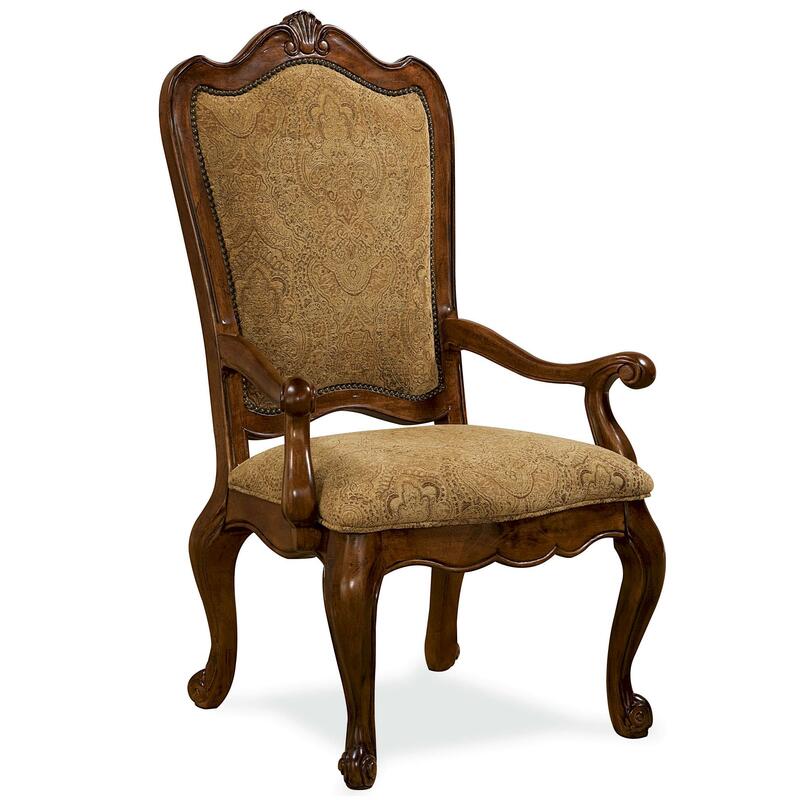 The perfect blend of old world and new this arm chair is a great addition to your homes dining area. The Villa Cortina Upholstered Back Arm Chair by Universal at Zak's Home in the Tri-Cities, Johnson City, Tennessee area. Product availability may vary. Contact us for the most current availability on this product. 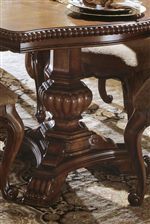 The Villa Cortina collection is a great option if you are looking for Traditional furniture in the Tri-Cities, Johnson City, Tennessee area. Browse other items in the Villa Cortina collection from Zak's Home in the Tri-Cities, Johnson City, Tennessee area.